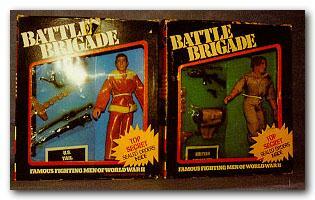 Battle Brigade was Palitoy Bradgate's name for the Lion Rock WW2 series. 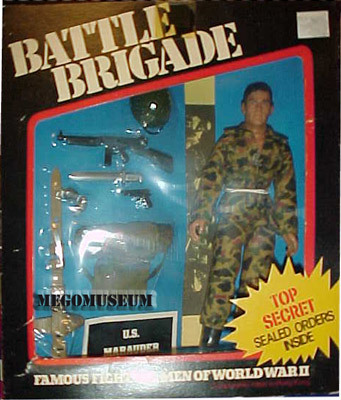 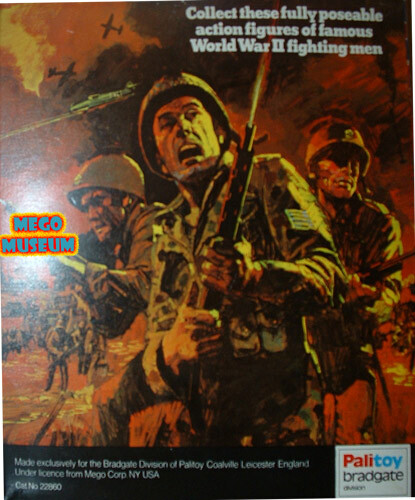 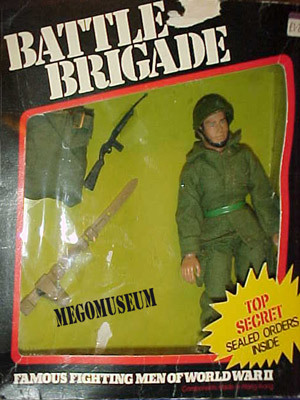 Already known for their great success with Action Man, Palitoy diversified with smaller formats (they had also released Spain's Madel Man as "Little Big Man") As usual Palitoy took their own approach with Battle Brigade, releasing the figures with "sealed Orders" and using a striking black box. 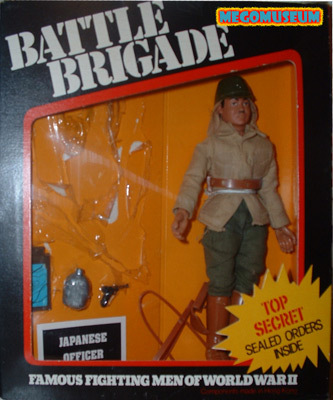 Besides the obvious packaging variants with Battle Briagde (Unlike the other European releases the back of the packaging is generic through out the line) there are also many subtle equipment changes. 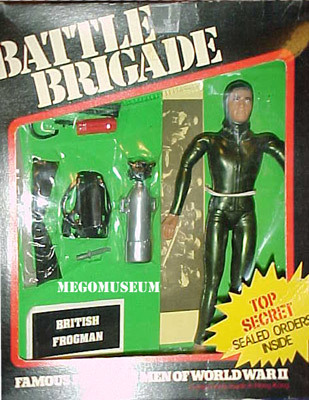 The most notable is the change in the Navy Frogman, the European version came with a shark while the UK version has sticks of dinamite..